Using the best practice methods for quick response codes will go a long way toward success. If there is one form of mobile marketing that can be considered highly controversial at the moment, it’s QR codes. While some feel it is one of the best technologies currently available, others feel it was dead before it started. No matter how you may feel about QR codes, the fact is that some companies have used them in order to achieve tremendous responses and highly successful campaign results. The difference between the efforts that have been a complete flop, and those that have broken records is in the techniques that are used. After all, the technology remains the same, no matter how it is applied. 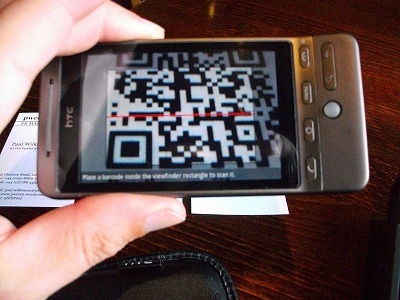 QR codes are not all that complex, but need to be made worthwhile or they will not be scanned. • Placement – if your QR codes are positioned in a way that they will not be noticed, then the odds are that your results will be minimal to nonexistent. You need to make sure that they are visible enough that the viewer will spot them, as well as being the right size that they will be easily scanned. Make sure that they are not located in the crease of a magazine or in a spot that the user will not be able to conveniently snap it. • Call to action – when you apply QR codes as a marketing tool, you need to make sure that you are encouraging the customer to do something, such as make a purchase, learn about a relevant product, or take advantage of a promotion. By simply linking to a homepage, you will be creating a dead end for users as they have been provided with no further instruction as to how to proceed. The success of these barcodes is based on using them to accomplish a specific goal. • Landing page – the page to which consumers are directed after scanning QR codes don’t need to be complex or large. They simply need to be mobile optimized, useful, and interesting. They can include written content, but they should be designed in a way that provides a little bit at a time and encourages the user to continue to learn more. Additional content options such as videos can help to improve interest, provided that it does not overlook the call to action.